Do you have a pizza shop that’s popular with the locals? Does your pizza shop only have one dining area, thereby limiting the number of people you can seat at one time? 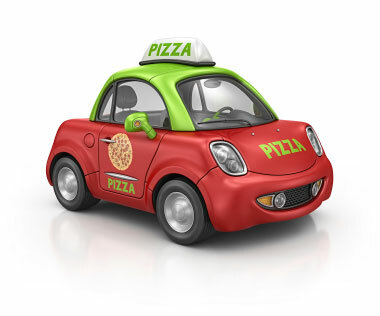 Do you offer pick up service for customers who want to stop in and grab a pizza? Well, you've got most people covered, but what about those customers who love your pizza but don’t want to dine in, nor do they want to drive to your shop to pick up their pizza? Those customers want delivery. If you haven't thought about offering delivery from your pizza shop, then it is something that you should soon consider. When people know that they can simply call your pizza place or visit your website to order a pizza, they are going to be more likely to buy from you versus a competitor they may not be familiar with. Sometimes people are watching sports, or their favorite show when they suddenly have a craving for a pizza. Offering delivery makes it possible to reach customers that you might have otherwise missed. You may also find that most people simply expect pizza places to deliver, and if you don’t, they are going to find someone else who will. You don’t want to let the competition take your customers away because you don't offer delivery. Of course, while delivery does have the potential to help you make more profits, you have to make sure that you are going to be able to do it properly. This means that you have to have everything in place before you start offering delivery. You'll need insulated pizza delivery bags that will keep your pizza hot and fresh as long as possible, and you'll need delivery personnel to get your pizza to where it needs to go, as fast as possible. Your delivery personnel will become an important part of your pizza shop when you begin offering pizza delivery services. Starting from when you hire them,, you will have to look for certain qualifications. They will need to have a drivers license; a good driving record, and if they will be using their own car, proof of insurance. Since the delivery person is the face that the public will see at their front doors with steaming, hot pizza, make sure that your delivery people are courteous, well groomed and have a positive attitude.You also have to make sure that you are choosing delivery personnel who are honest and whom you can trust with lots of cash. You will also need a map of your delivery area on your website or on printed fliers available in your pizza shop, so that when people are placing orders, they will know if their location is in your delivery zone. Remember, pizza needs to be delivered quickly, while it's hot and steaming, so keep that in mind when determining your delivery radius. You should also make sure that delivery hours are clearly spelled out. Delivery of hot, fresh pizza is something that customers want and expect and it could be something that you should be adding to your business model. Examine the pros and cons of pizza delivery and then decide if it is the right choice for your pizza shop.